The saga of The Interview continues. When we last checked on the film, which had been pulled following threats on movie chains by North Korean cyber-terrorists who hacked the studio, the studio had “no further plans” to release the comedy, which is about an attempt to assassinate Kim Jong-un. The terrorists demanded that in addition to Sony not releasing the film into theaters, the studio also shouldn’t release it on DVD or VOD. President Obama said the studio “made a mistake” by giving into the terrorists’ demands, and while Sony unsurprisingly disagrees with that assessment, they may now try to rectify that wrong by putting the film onto their own VOD service, Crackle. 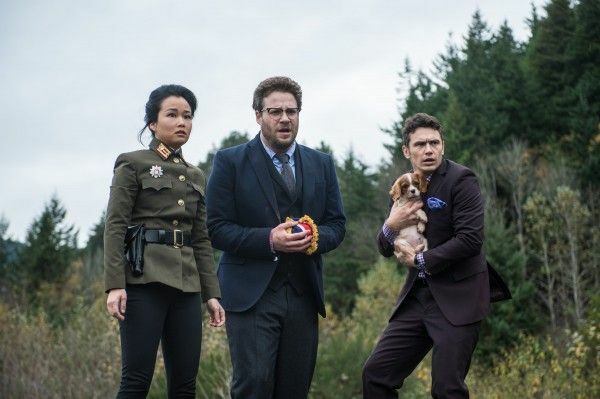 According to the New York Post, Sony will release The Interview on Crackle for free. The terrorist have threatened the release of more documents stolen in the hack, but it would be admirable if Sony tried to release the film on VOD in spite of that, and for free no less. On the one hand, Crackle makes sense. Other companies that offer VOD could be afraid that their businesses would be hacked next. Sony circumvents that by offering it on their VOD service, a service that isn’t incredibly popular (possibly because you get an ad every 10 minutes regardless of where you are in the movie you’re streaming). On the other hand, it’s surprising that they would choose to release a $44 million movie for free but if they choose to shove in ads, that would mitigate the cost. However, if other streaming services are staying away, would advertisers step up and face the same risks? Also, shoving ads into the movie isn’t great. Keep in mind that the Post isn’t the most reliable news source, so we’ll see how this develops.